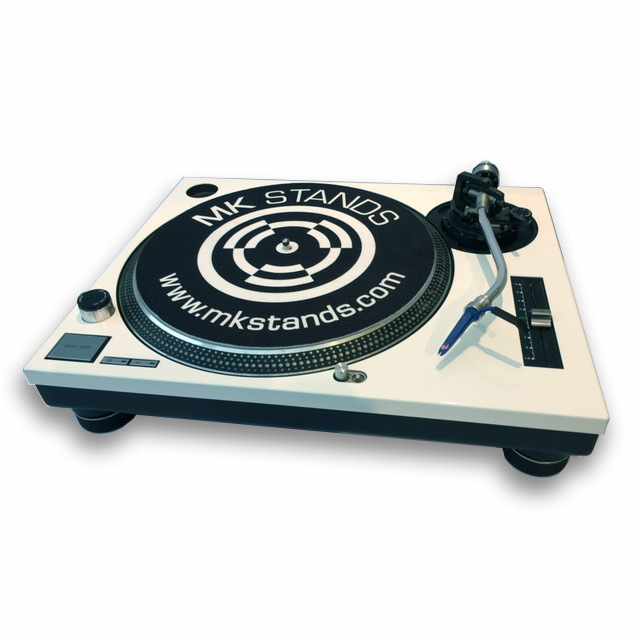 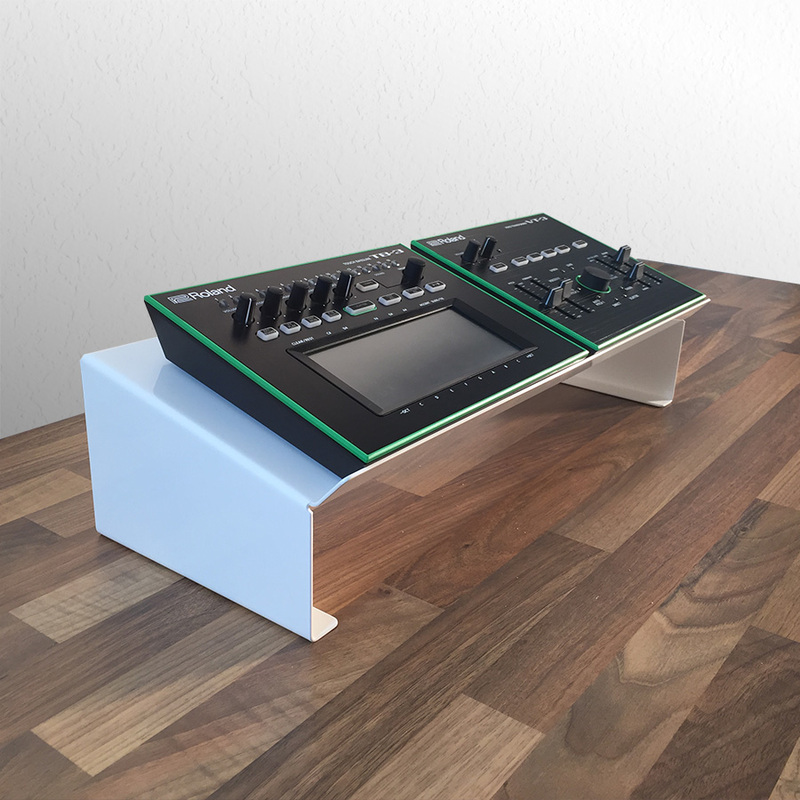 This is our new range of Roland Aira Stands. 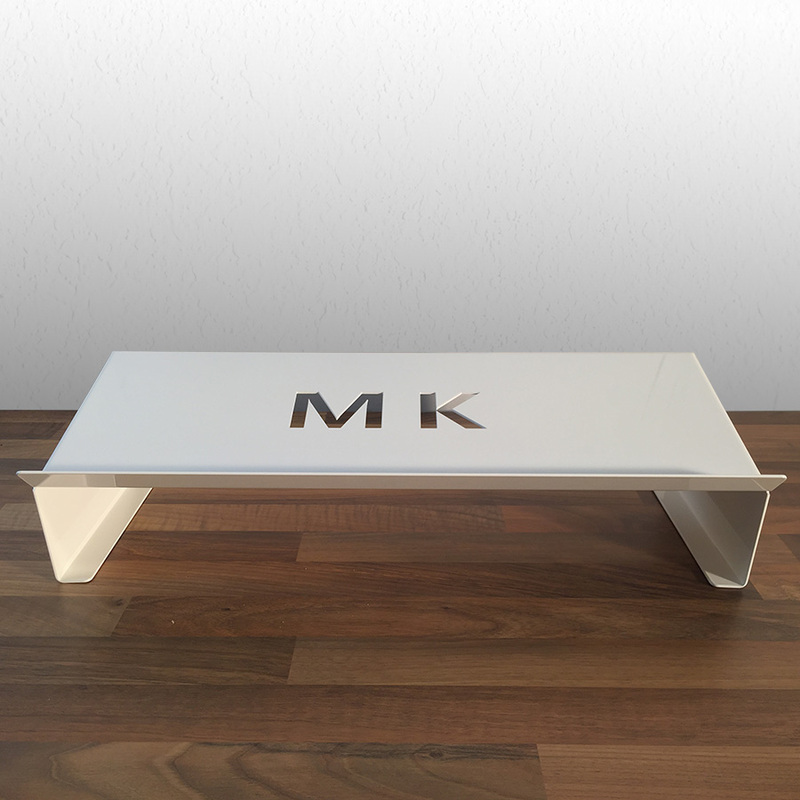 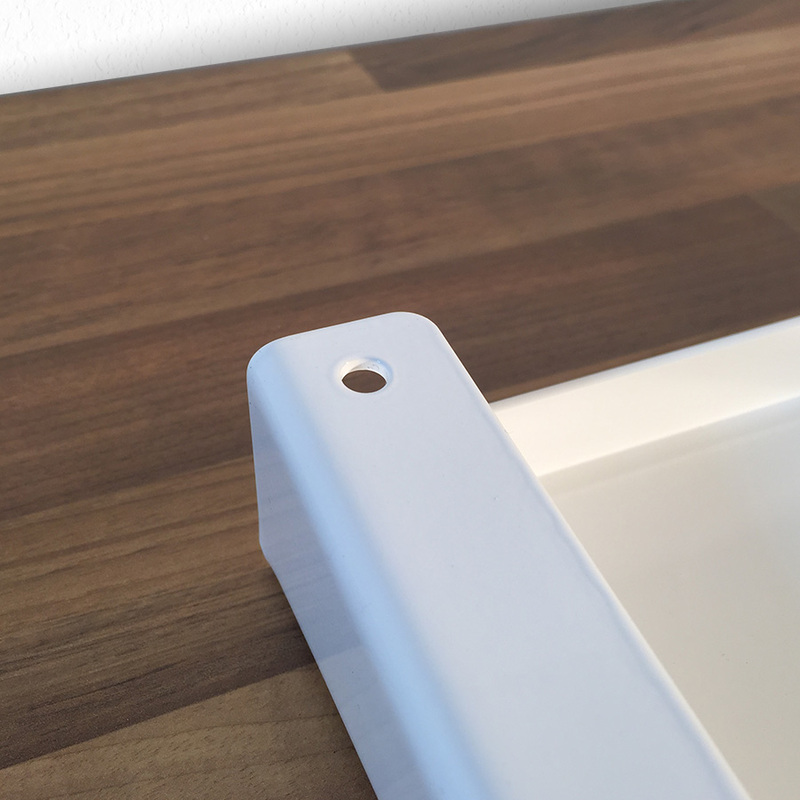 All our stands are professionally designed and made in the U.K. Made from one piece 2mm gauge mild steel, laser cut to a precise measurements then CNC folded to our specification before being powder coated in a hard wearing China White gloss. 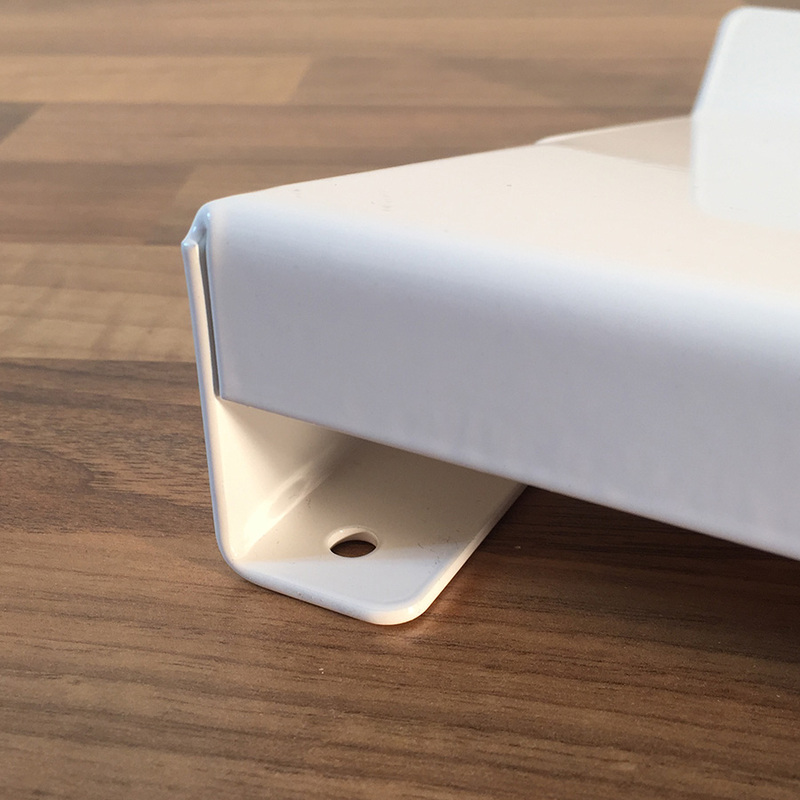 At the back of your stand are two locating holes so you set up your stands in the best position so when you are happy with your set up you can screw it down. 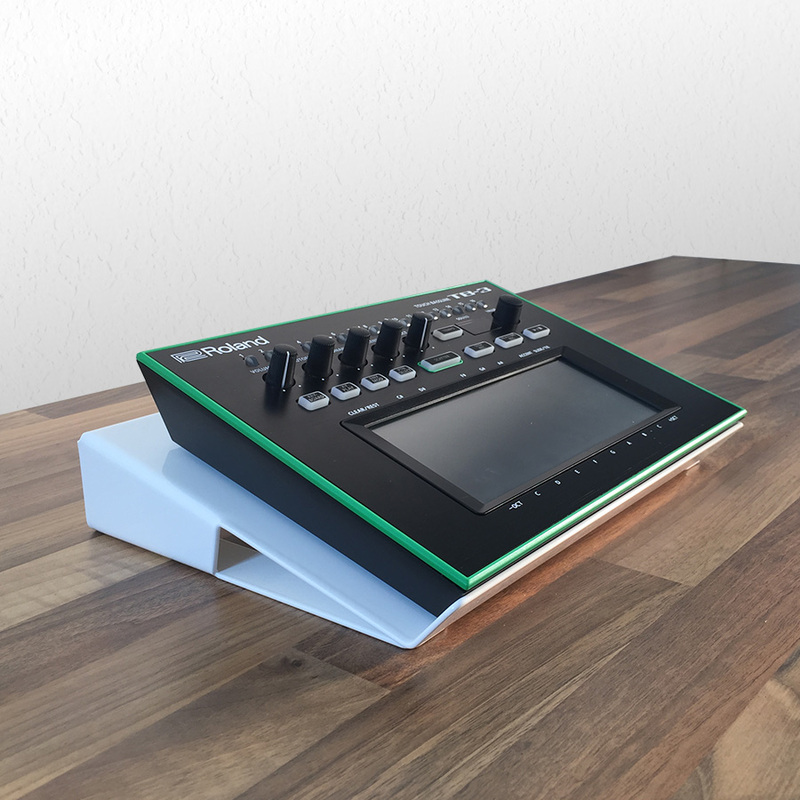 This is also good for tidying up all of your cables at the back of your instruments. 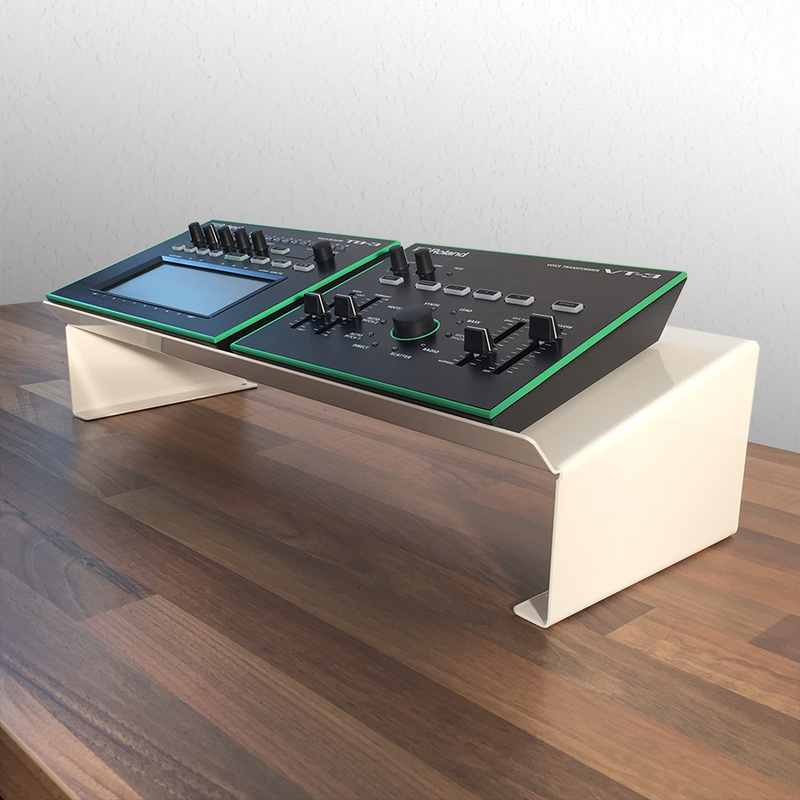 All of our stands are robust and built to last and can be used with other makes so you're not restricted to just Roland synths and samplers. 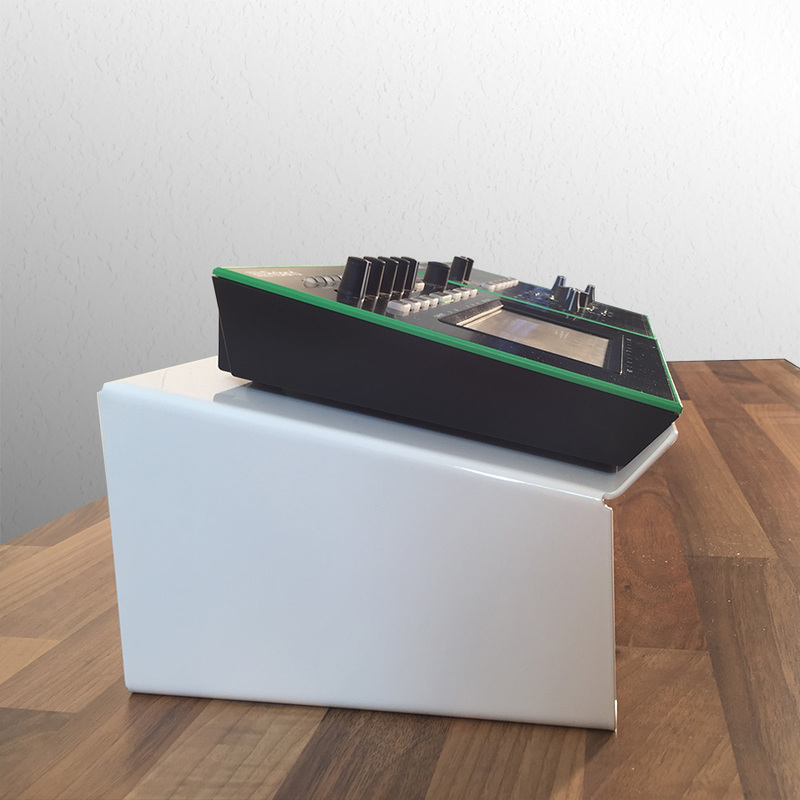 The full range of stands can be used sitting down or standing up for live performances without causing you neck strain or an aching back. 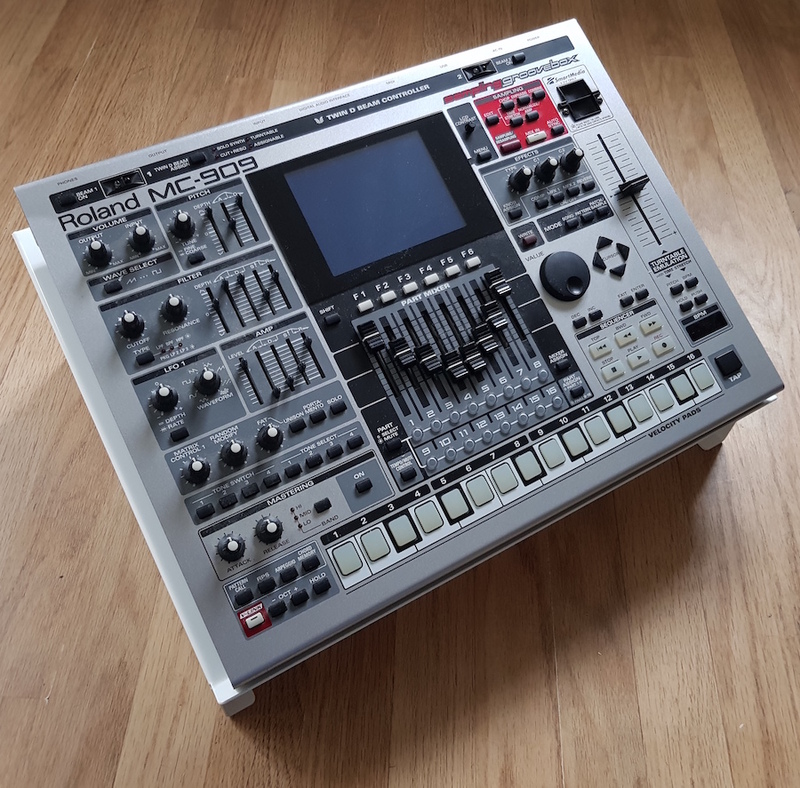 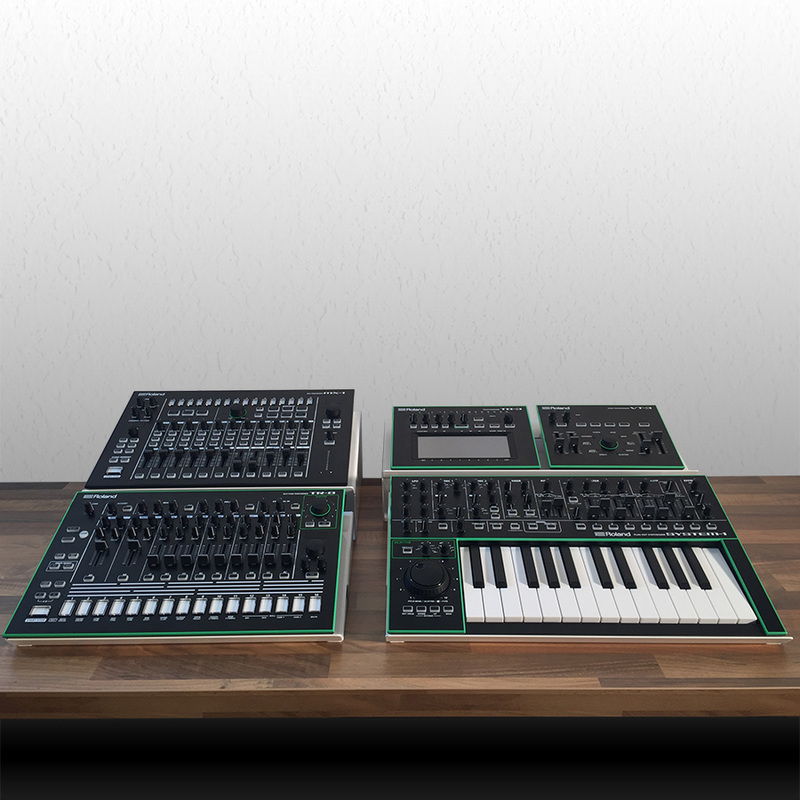 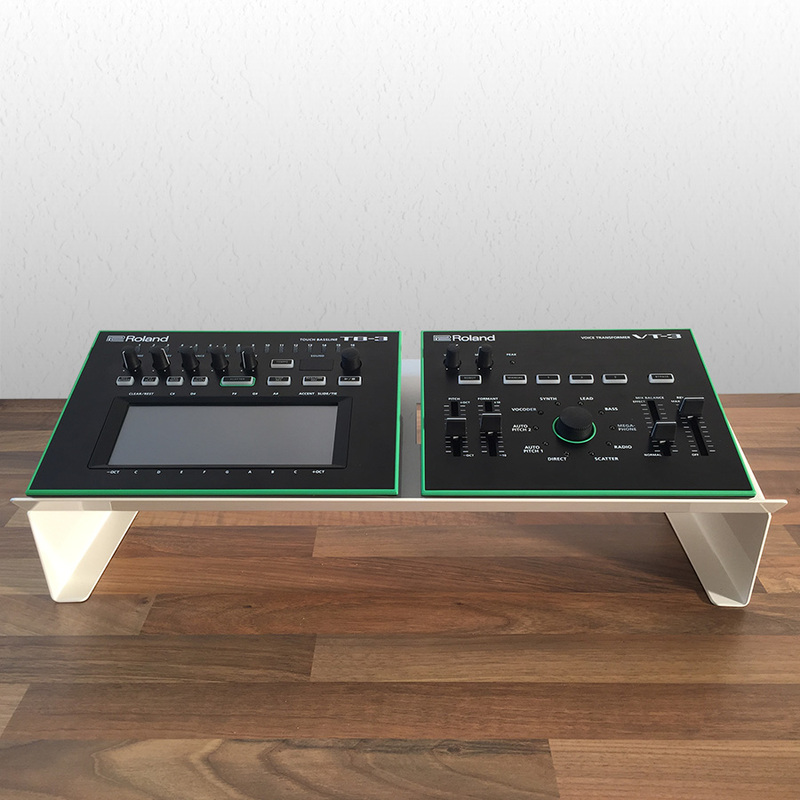 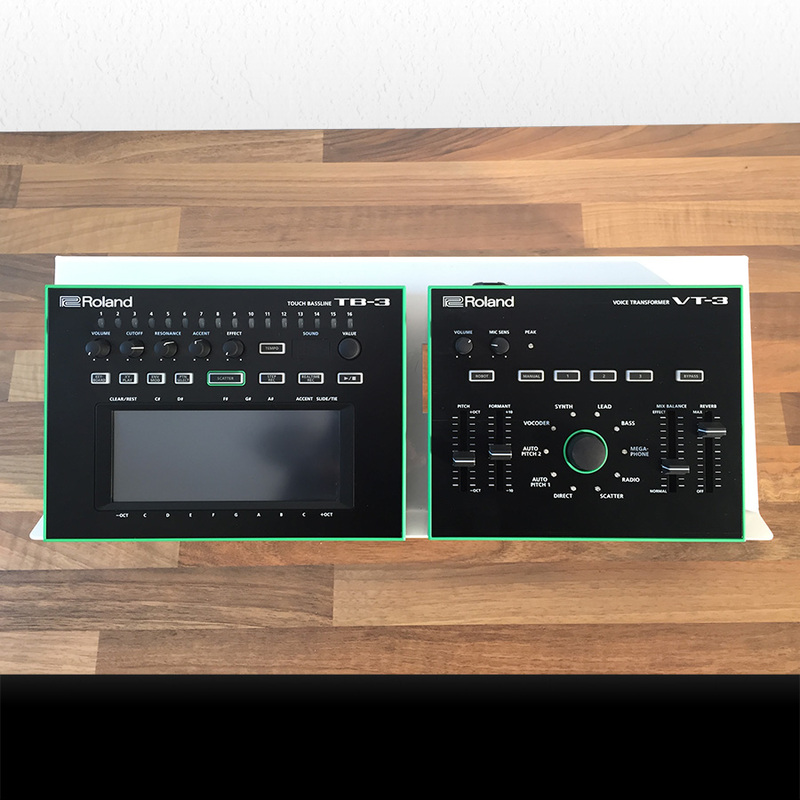 Our Roland Aira range of stands are designed to be at the same angle giving better views of whats going on with your equipment giving you a more enjoyable experience.